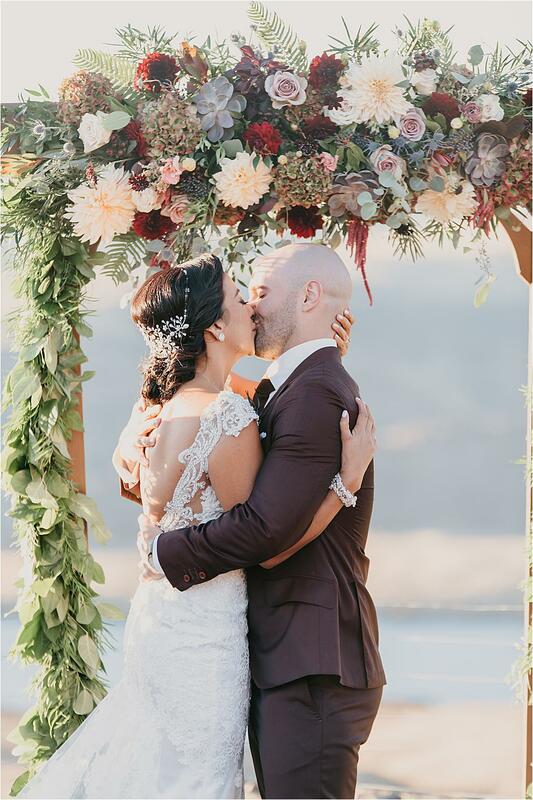 Ren and Gio first met at a triathalon in Miami in 2013, when Ren was living in Miami and Gio in Delray Beach. 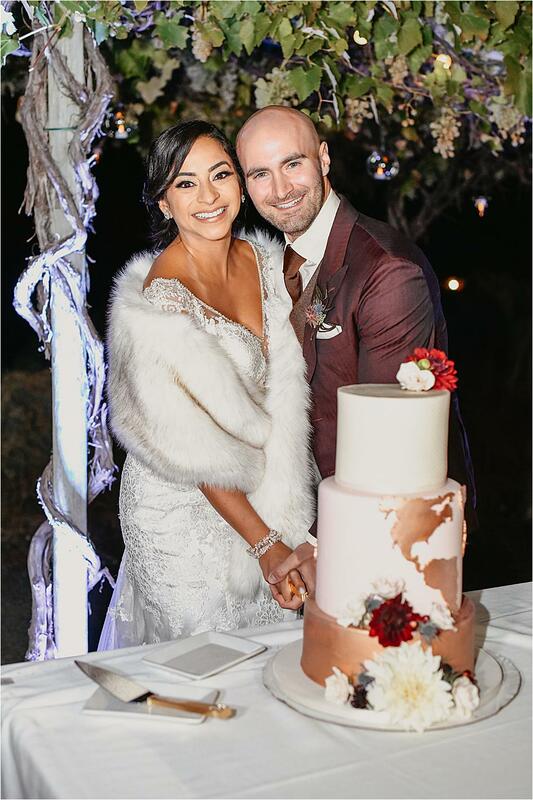 The two continuted to commute for three years before moving in together in Delray Beach, Florida. 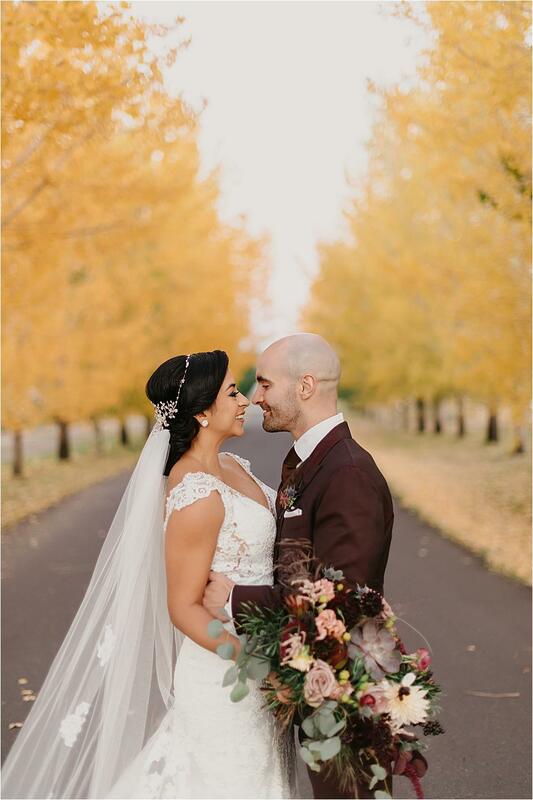 Gio planned the fairytale proposal four years later over two months, working with a jeweler, communicating with a travel guide, and concocting the perfect plan. 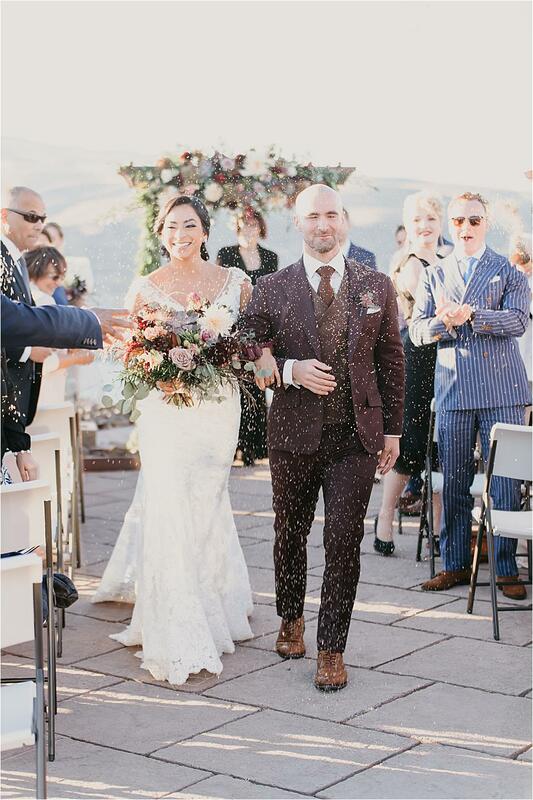 He happened to have a work conference in Barcelona the week of their three year anniverary, and Ren, being an avid traveller, agreed to go without a single suspicion. 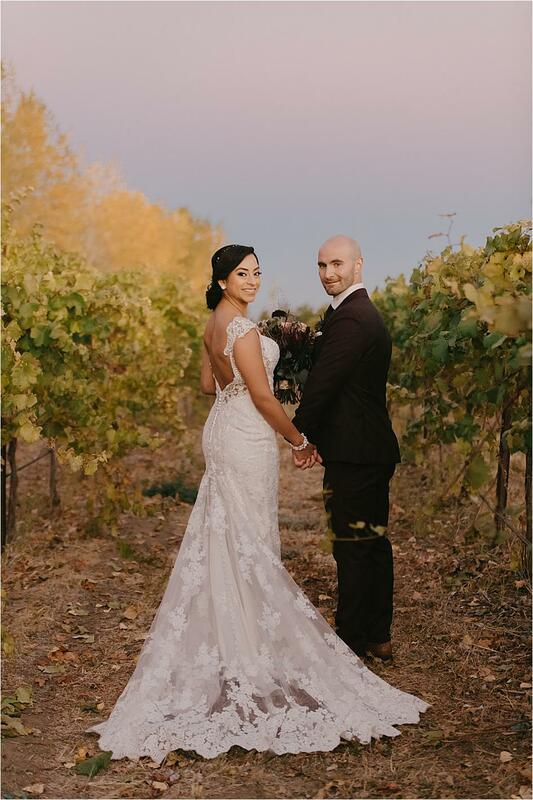 After a full day of vineyard tours and wine tastings, the two stopped at the top of a mountain overlooking Siurana at sunset, and Gio got down on one knee and asked Ren to marry him. 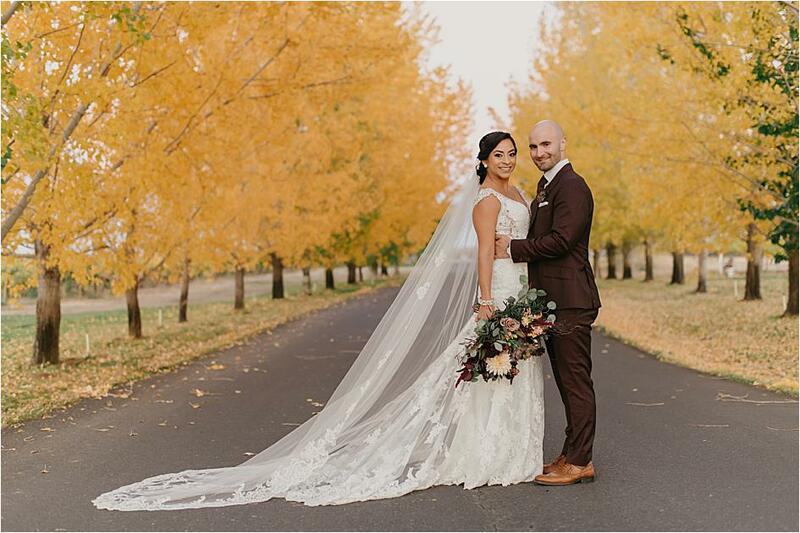 He was met with an enthusiastic "yes" and the two set out planning their wedding day. 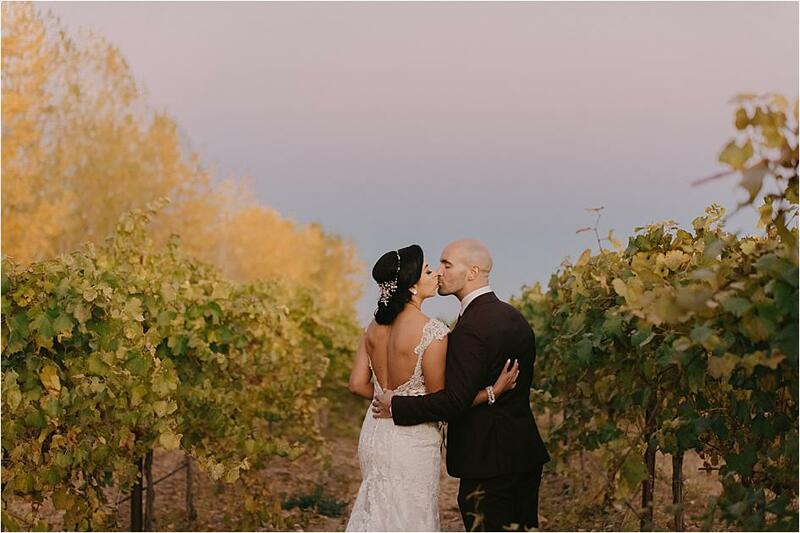 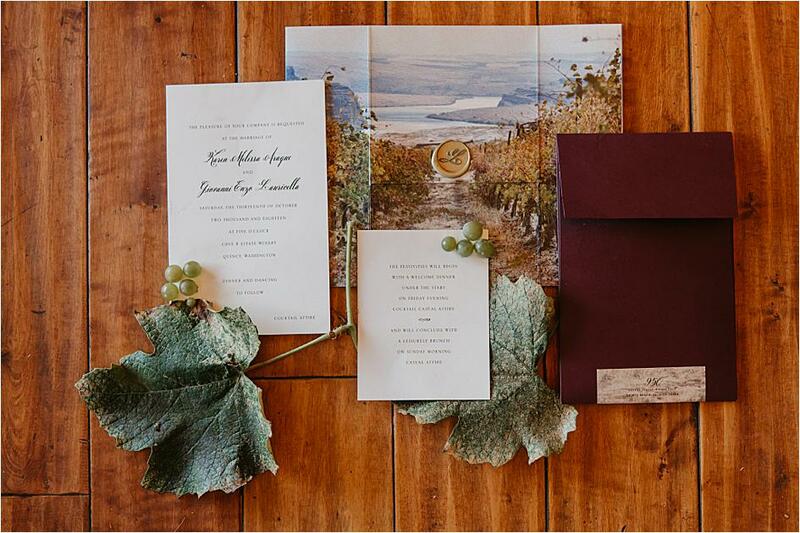 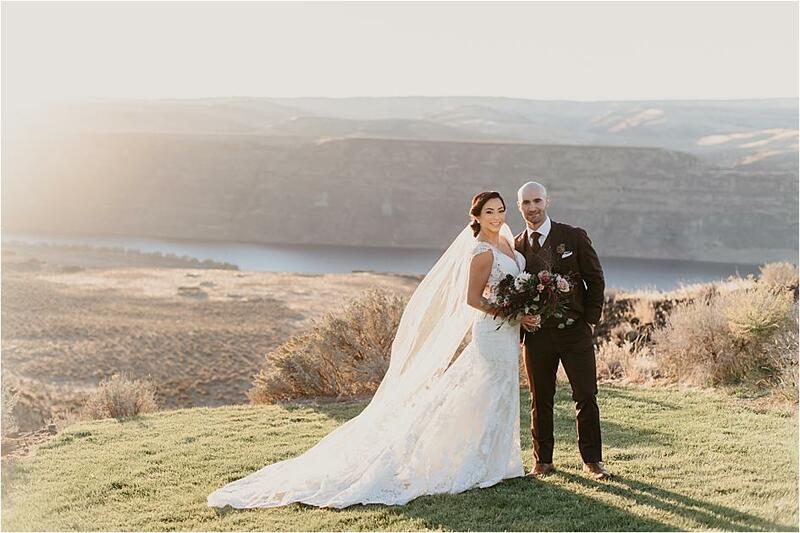 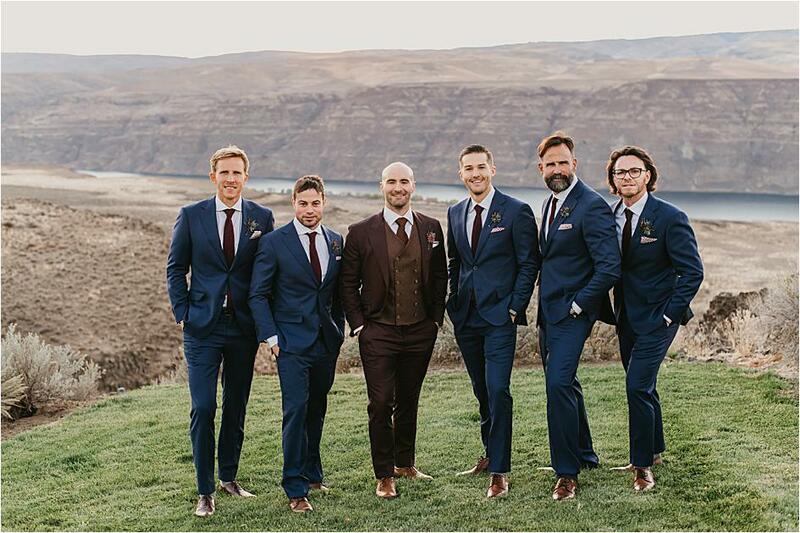 Ren and Gio wanted their wedding to take place in their favorite wine region: Washington. 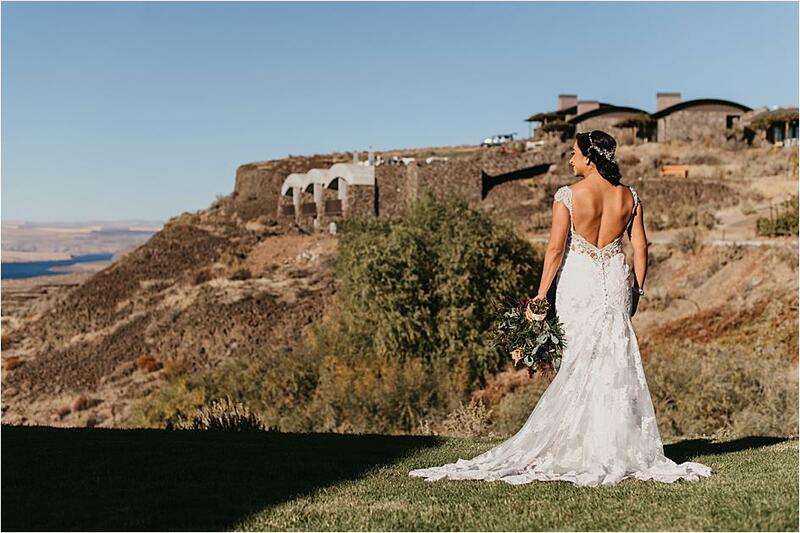 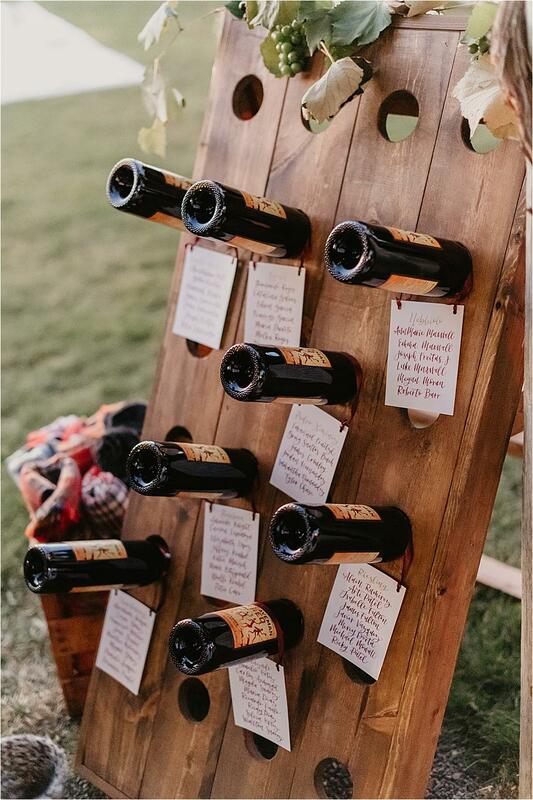 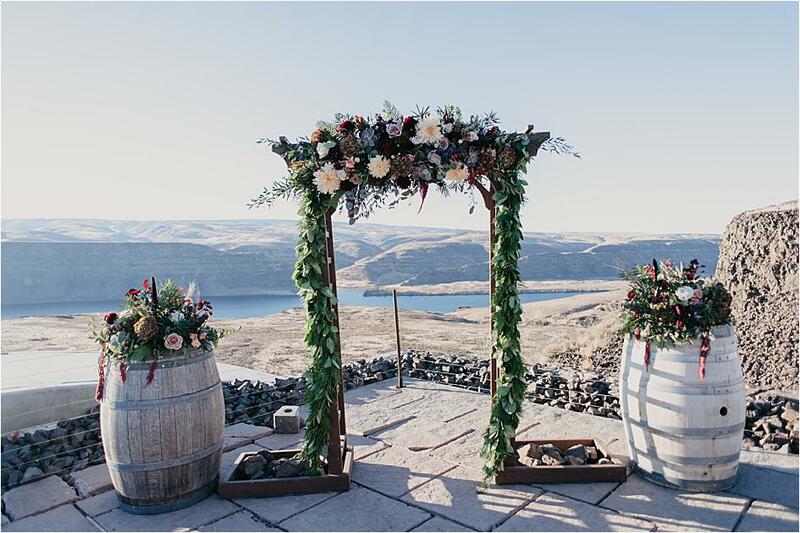 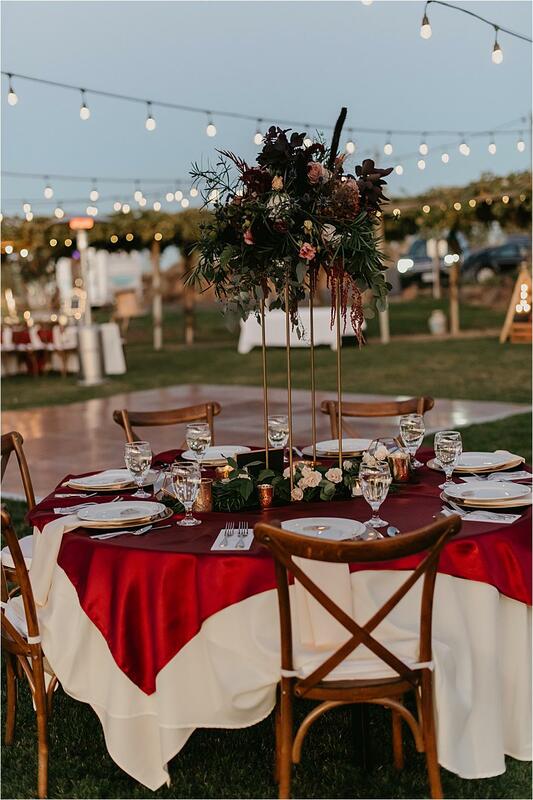 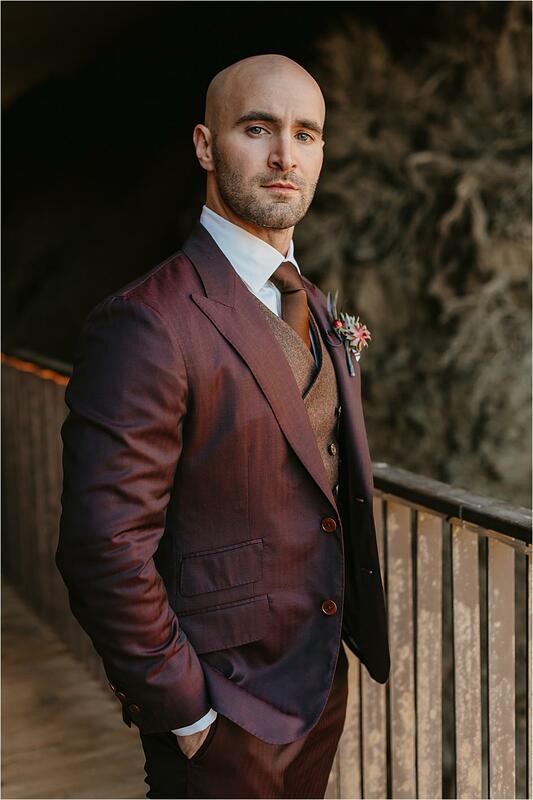 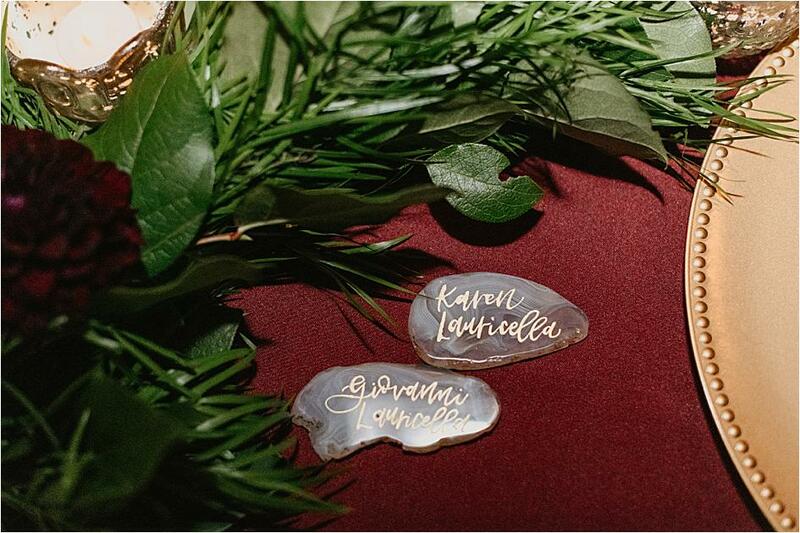 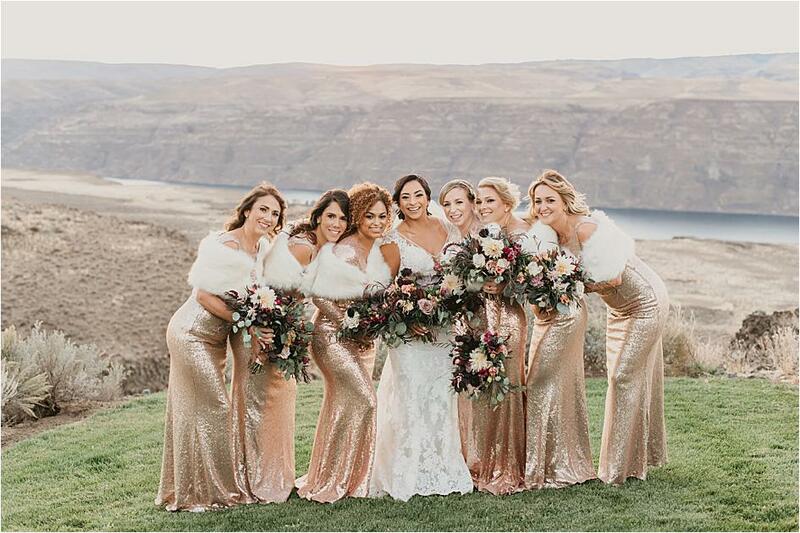 The two incorporated their love for "travel, wine and Cave B," the beautiful venue, with their guests who came from far and near for the celebration. 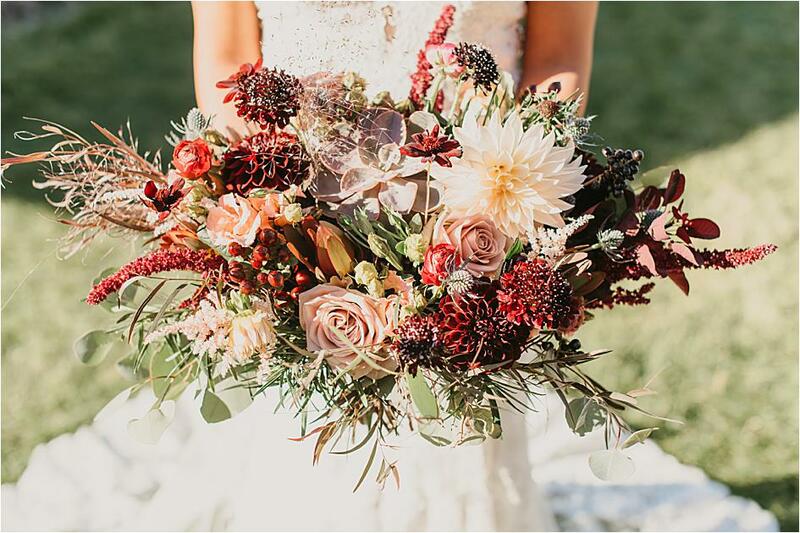 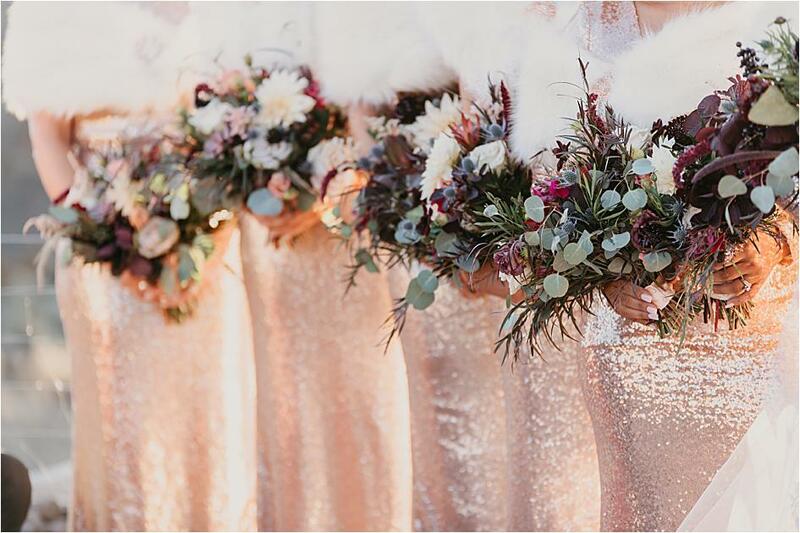 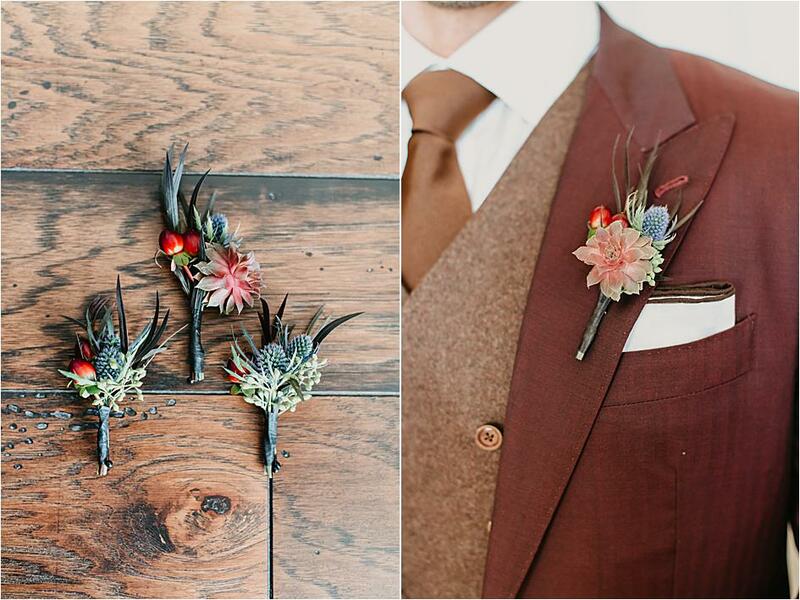 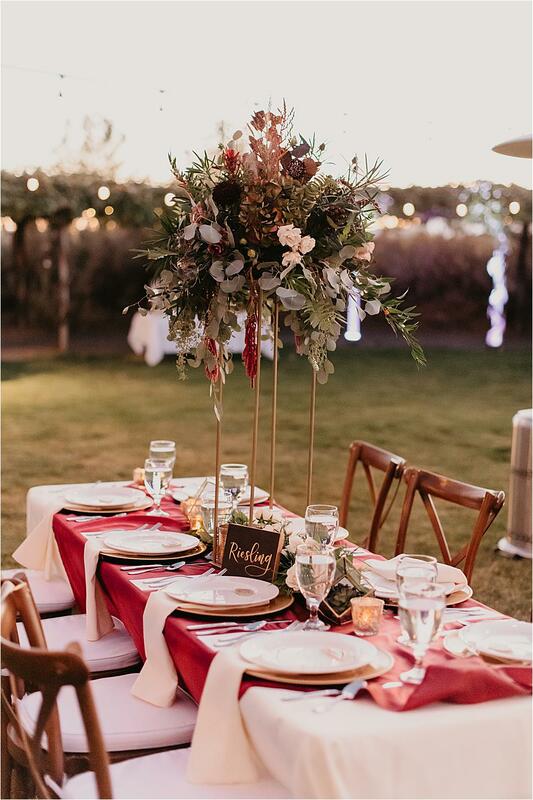 A beautiful palette of soft blushes, deep reds and striking greenery made the day come to life. 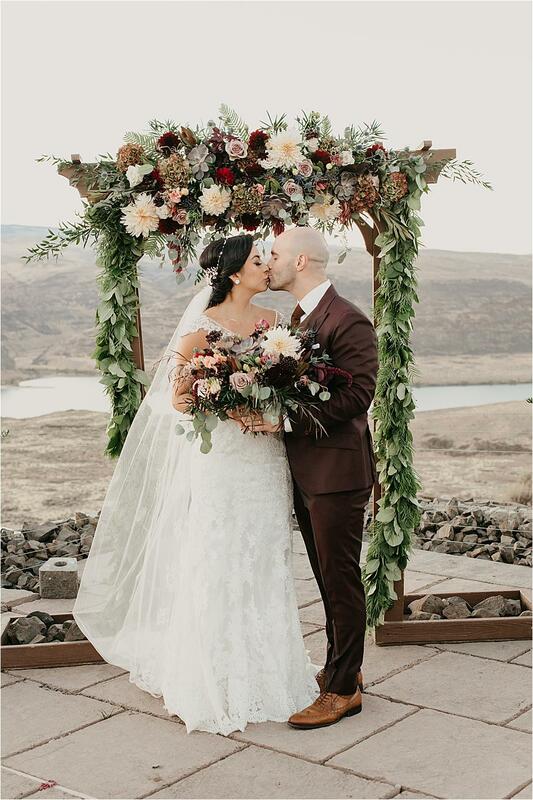 Simplified Celebrations made a beautiful bouquet for Ren that perfectly complemented the stunning arbor design. 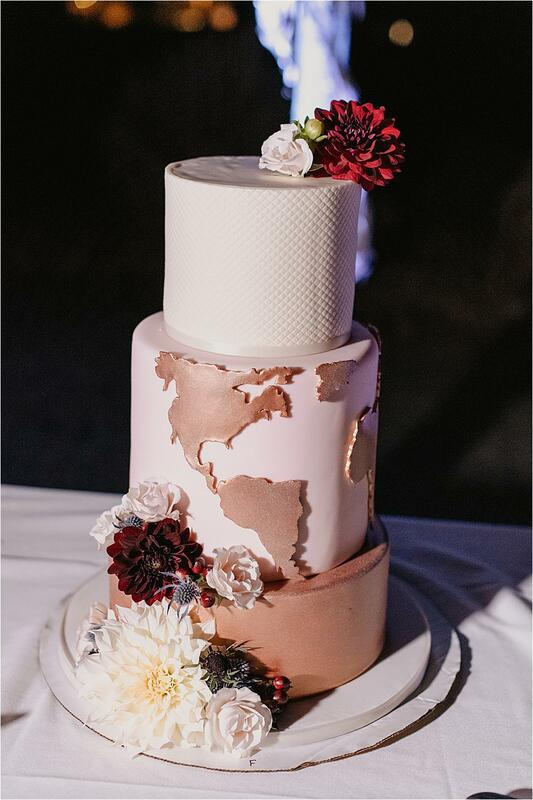 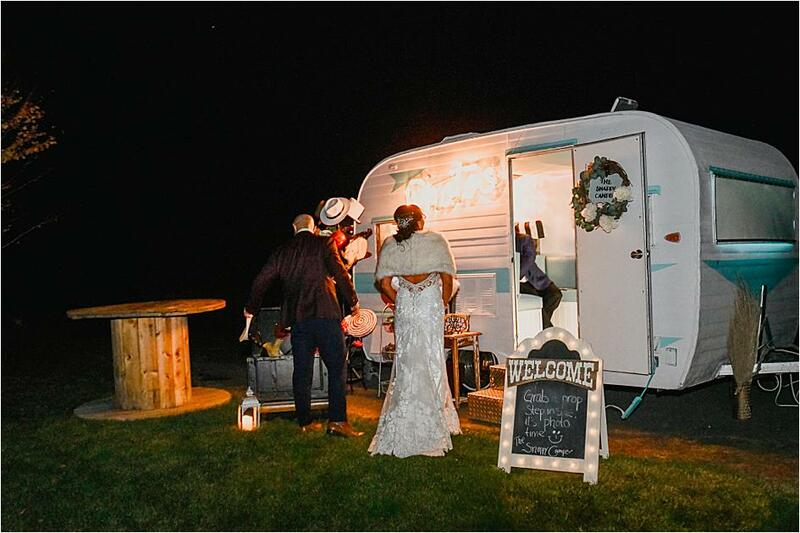 Tin Sparrow created a gorgeous reception space for guests to celebrate the newlyweds, and Frost Me Sweet created a beautiful cake showcasing Ren and Gio's love for travel.